Islington Town Hall Richmond Room: After Audrey and Jason’s charming North London elopement, we stuck our heads ’round the heavy wooden doors of the Richmond Room. The early afternoon light was ridiculously beautiful. Taking wrong turns in town halls is always a very good idea, and Islington’s one of our forever favourites. 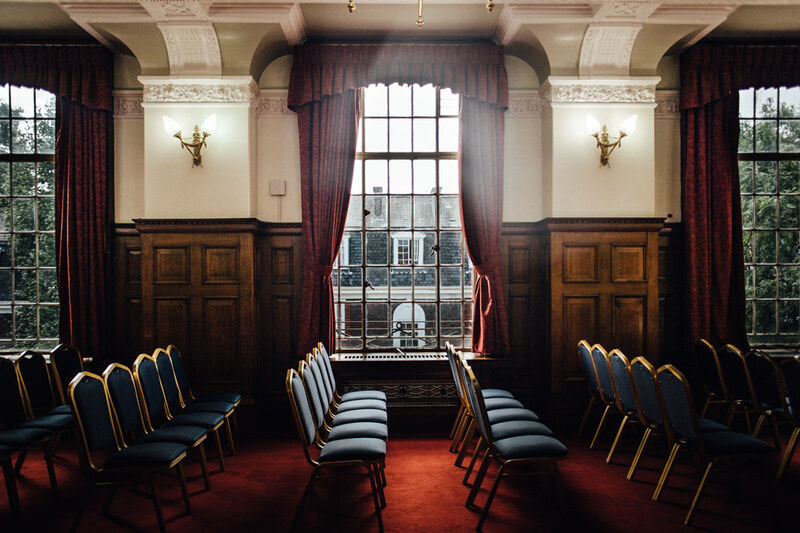 The Richmond Room is the least used of Islington Town Hall‘s various ceremony spaces and only hosts weddings on Saturday afternoons… but we’re standing by to shoot there if you book it, obviously.